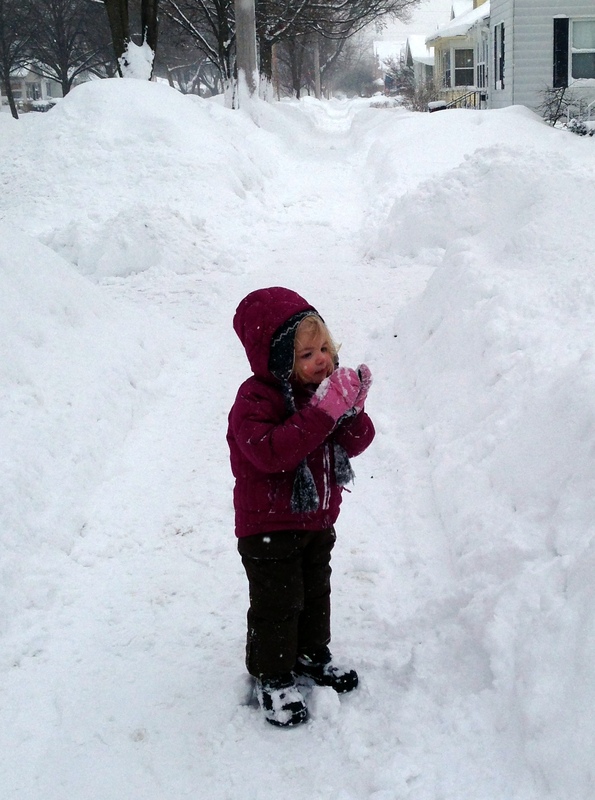 Snow Day Survival Guide, including a free printable! If you’re all in a panic because your kids are going mad and you don’t have a thing prepared for them to do on the millionth snow day in a row, go on ahead and skip to the end. I won’t tell! This winter is no joke. It’s snowed every single day since forever. We haven’t had school since last Wednesday, and wind chills for today are forecast to hit about -30F (which is -34C – we’ve almost converged!). But what do you do? There are only so many days you can spend huddled inside waiting for spring, especially if you live with lots of little humans. There’s something to be said for celebrating the place you live, crazy climate and all. In honor of our fourth straight snow day, I’m offering a few hints on getting outside to enjoy this unique weather with a free printable below to wrap it up. And I mean lots of them. Two pair of socks; leggings, long underwear, or fleece tights under jeans; undershirt, long-sleeved shirt, and sweater – this is your base layer. Then add your boots, snowpants, hat, mittens or gloves, and scarf. It’s so much easier to enjoy being out in the snow if you’re dressed for it! Play on the sheltered side of the house and avoid open areas – it will make a tremendous difference in how long you’re able to stay outside. Good old-fashioned snow forts make great windblocks, too. Come in for warming breaks. This is a new one to me that came from a woman who grew up in Alaska. You can get outside in some crazy cold weather, you just need to come in periodically to let your skin warm up. So send the kids out for twenty minutes – or better yet, join them, the fresh air will do you good too! – then come back in for five or ten minutes to warm up and head right back out. Go ahead and leave the gear on and your sanity may actually remain intact. Now, for that moment when you really need to go inside, I created – ahem – a printable. It’s a poem called The Snowman which I’ve formatted as a booklet for the kiddos to illustrate. 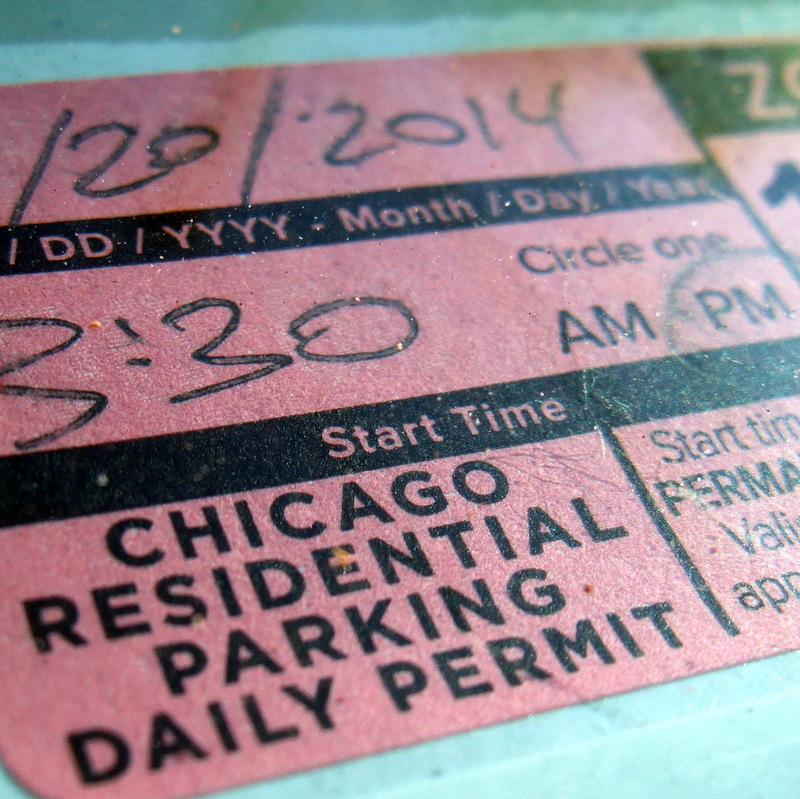 It requires the ability to do double-sided printing but otherwise needs absolutely no preparation ahead of time. It is appropriate for preschoolers and young grade-schoolers (my kids are 5 and 7 and enjoyed it; the 2-year-old took a yogurt bath and decorated my kitchen with cinnamon rather than participate). The Snowman: Click here to download! Again, this needs no preparation ahead of time. Grab some kind of dish with sides from the kitchen – a cookie sheet with a lip, casserole dish, pie plate, that sort of thing – and bring it outside to put some snow in. Make a miniature snowman. (If you live around here you might need to let the snow warm up a little for it to pack.) Then watch it melt, just like the snowman in the book (hopefully it won’t traumatize your little artistes!). A lesson in solid and liquid states. UPDATE! What’s a snow day without a video? See? 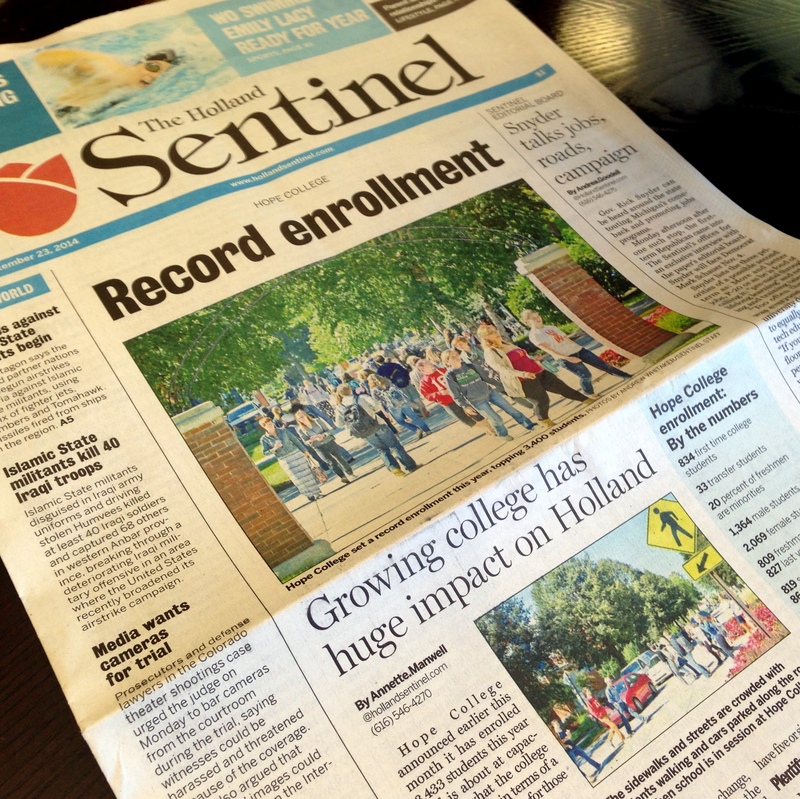 You covered nature, literature, and science today. Win! Like this? Sign up for our e-mail list and never miss a thing! I ran across this quote in an article about allowing our kids to inform our observations about our places. It’s something I’ve been thinking about a lot lately. When I was five, I walked to school every day by myself. There was one busy street I needed to cross, but I have to think it wasn’t as busy as the streets in our town are now. Yesterday as I was walking CJ in to school, she asked, “When can I walk to school by myself?” She craves that independence, that ability to do something by herself. 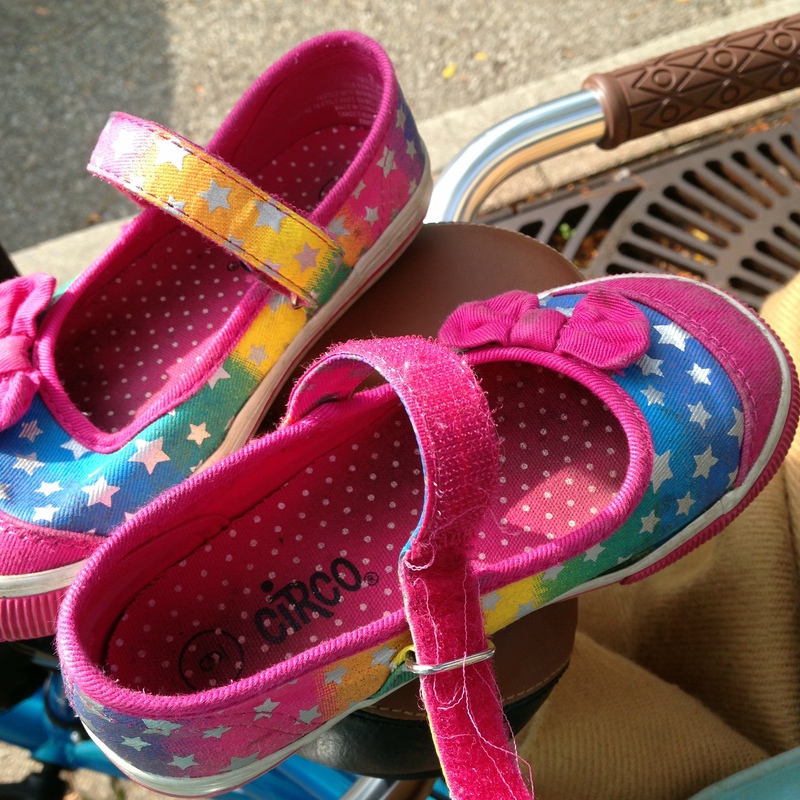 And though I fully support her in this – we’ve explored before how essential this is to a child’s developing abilities, how it affects her cognitive development, how other cultures actively encourage this independence – the traffic on our local streets runs fast. The streets are wide and difficult to cross. 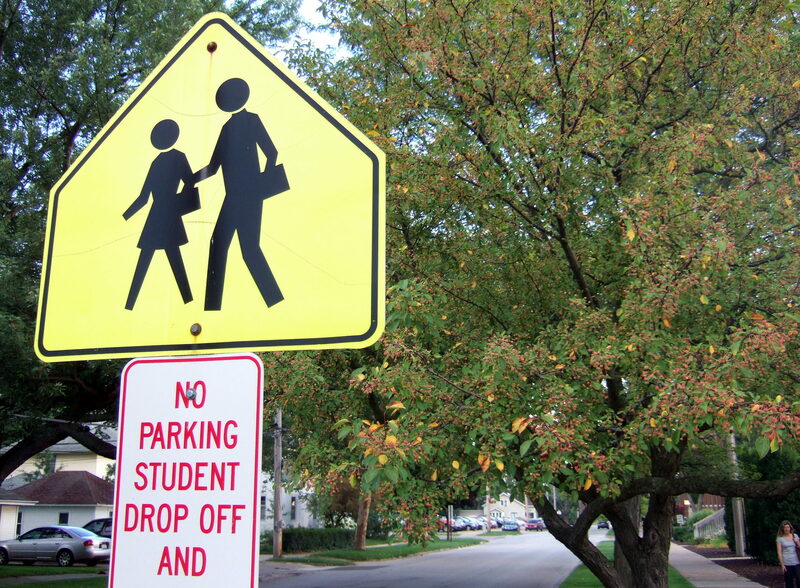 There are no crossing guards in the morning (and not enough in the afternoon). We’ve made a city for the able-bodied, but there’s no place here for my little girl and her burgeoning sense of independence. Jane Jacobs takes this one step further and encourages us to consider a city that is actually created BY everybody. I don’t know exactly what this looks like, but how much healthier would our places be if this were something we strived for? Maybe I’ll ask the girls today. What does a city made for you look like? What Cartoon Are You Living in? The Jetsons’ city, built around the flying car. The way we get around shapes the world we live in – and vice versa. George Jetson is ejected from his cozy bed in the morning right onto a conveyor belt that draws him through his whole morning routine (and with my toddler getting up for the day most mornings at 5:30, WHAT I WOULDN’T GIVE for that contraption!). He dials up a push-button breakfast, then is delivered to his flying car for a grueling two-hour work day. We’ll ignore for now the fact that George would surely not have maintained his svelte figure if he’d never had to move a muscle all day long, thanks to the conveyor belts that rendered functional feet obsolete. The Jetsons’ Saarinen-inspired community – can we call it a community? – is suspended impossibly in mid-air, perched atop narrow pillars that inexplicably never seem to sway. Although the family lives in an apartment, the show portrays the ultimate suburban dream – lots of space, yet everything is easily accessible. A futuristic world built around flying cars looks appropriately weird to our eyes. It’s worth noting that as much as the way we get around shapes the world we live in, the converse is also true: the world we live in shapes the way we get around. Taking a walk would involve a long, treacherous fall for a Jetson – the flying car was it for them even more than our grounded vehicles are for us. The movie Cars is similarly unbelievable. In this case, rather than being set in the far future the movie is peopled entirely by, well cars. The little burg of Radiator Springs has seen better days. The interstate passed them by and the poor cars of Radiator Springs languish, desperate for a visitor to bring business in to town. Lightning McQueen, the little racecar who could, growls around town with the locals. 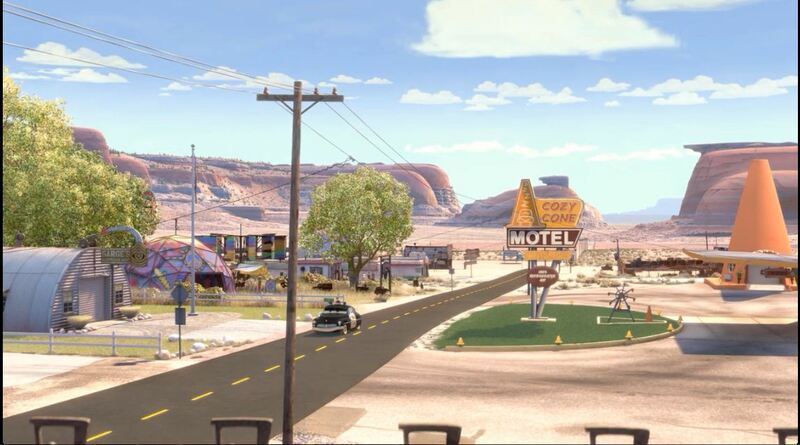 A tire shop, a drive-in themed motel, racing the roads outside of town. 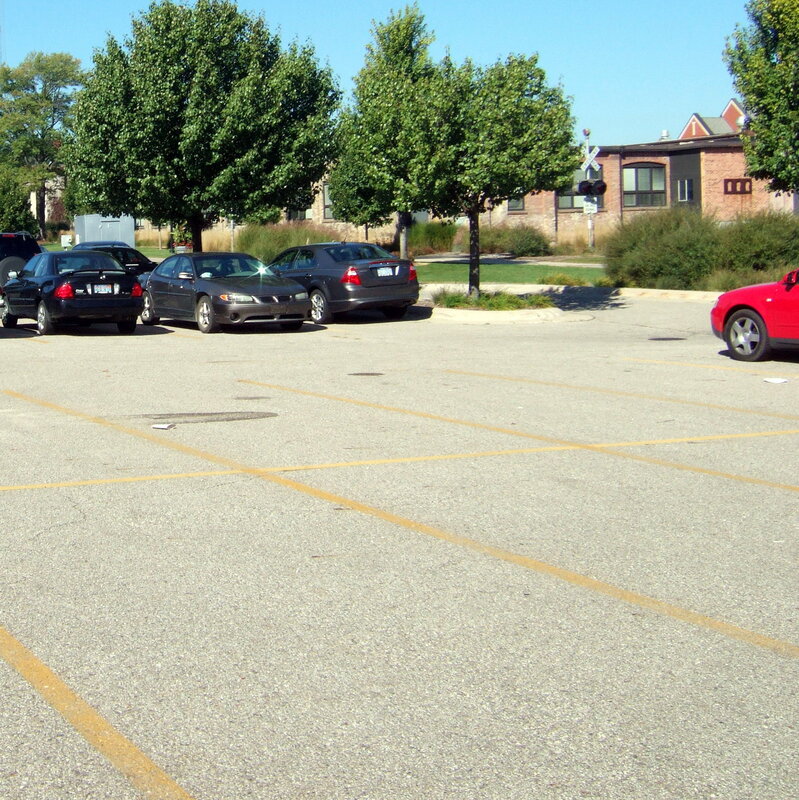 Much of the action takes place in streets or parking lots, a logical public space for cars. Radiator Springs isn’t immune to sprawl. 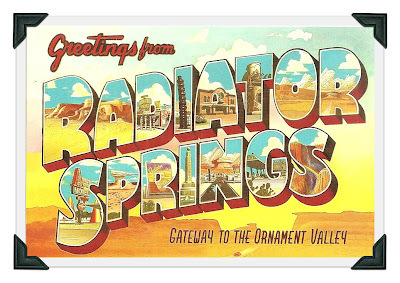 Radiator Springs could be any of our towns, its main street found anywhere in North America. Wouldn’t you think that a city designed for a movie in which cars are the main characters would look a little strange? I mean, it’s built for CARS. Not people. Our cities are built for people – right? 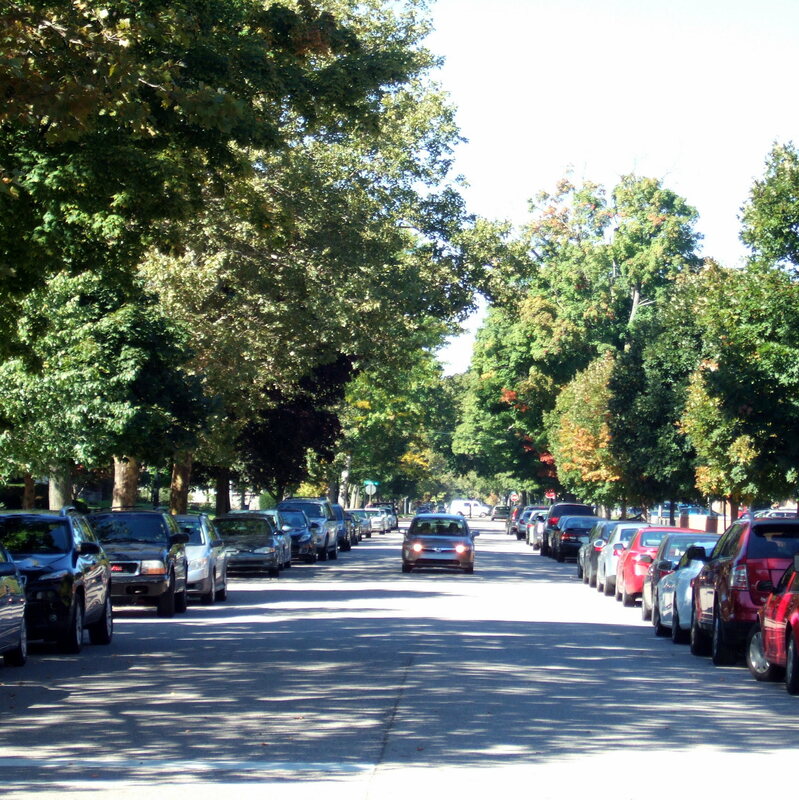 But a town built as a habitat for cars looks completely familiar and comfortable to us… because our cities are built – or have been retrofitted – for cars. The interesting thing about these cartoons is the relative presence and absence of public space. 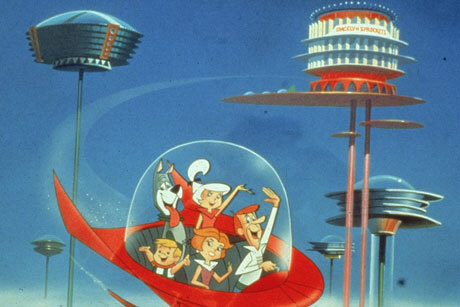 In the Jetsons, there really isn’t much public space – it’s hard to build a park mid-air. Interestingly enough, we see technology – like video calls – taking the place of that in-person interaction. In Cars, on the other hand, almost all of the action takes place in the public realm. The streets of this little town function like the public plaza of a medieval city, where everyone gathers by intention and runs into each other through the course of their day. Cars don’t fit in houses very well, after all. Neither of these communities is built around the individual person. That works well for the cars, because they ARE the individual people in their story. I suspect that the world of the Jetsons would have been somewhat less rosy in real life. So what do you think? What cartoon do YOU live in? What would your kids say? Feel free to leave a comment, or e-mail me at tulip.lane@outlook.com. The housing inspector was going to be at our house at 9:00 a.m. sharp today, and my husband was gone for an early meeting. That meant that I had to make sure all three girls were ready for their day and out the door at 7:40 a.m. Sticking to the timetable was crucial. HOW IS YOUR HAIR NOT COMBED YET?? I decided that it would make best sense to drive the three blocks to school today so I could do my other two drop-offs directly from there. For five minutes I sat in the driveway, pulling forward and back as walkers passed down the sidewalk, waiting for traffic to clear. 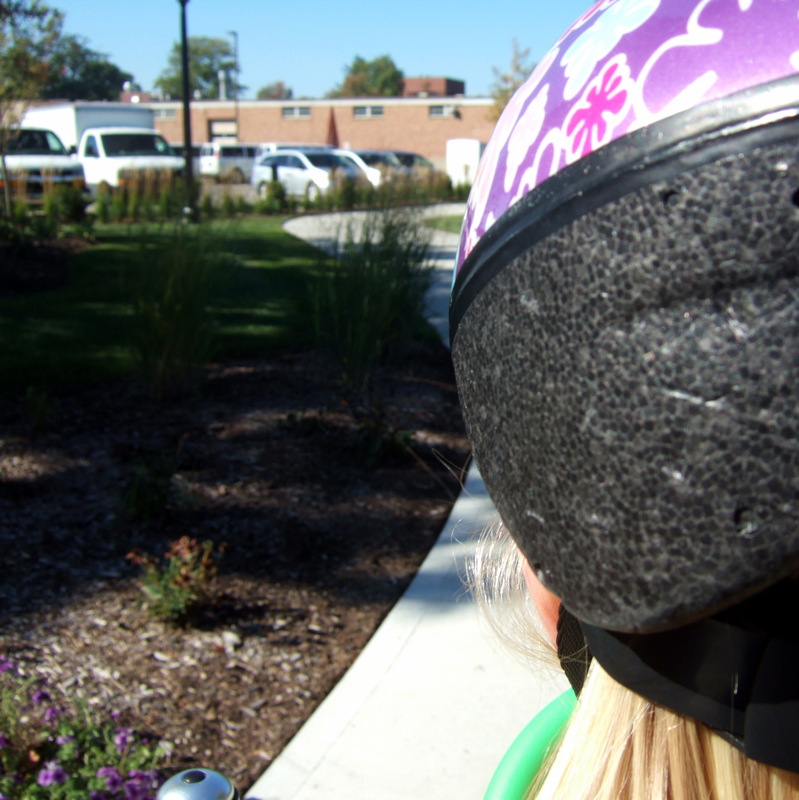 Once we were finally on our way, we passed a dad walking his pink-fleeced little girl to school. For five more minutes I worked my minivan through the traffic snarl outside the school to get to the elementary school drop-off line. As I clicked open the door, the dad and his little girl walked up to the kindergarten classroom. For crying out loud, WE’RE NOT EVEN TRYING HERE. Walking this journey is obviously more efficient than driving, but some days it’s scary as hell. All those cars I was tangled in are in a HURRY, and trying to walk through an intersection with no crosswalk and no crossing guard and no anything at all but raw courage and a teeny flame of anger that we are so freaking uncivilized takes a lot of energy and a certain amount of disregard for one’s own mortality. And half the reason everyone’s in a car to begin with is that most of us don’t really want to contemplate death first thing on a Thursday morning, before we’ve even finished our morning coffee. I’m tired of pretending that this is working for us. I watched the video below first thing this morning. It’s an almost surreal foil to my maddening morning drop-off experience and I just can’t shake the contrast; it’s been on constant replay in my head all morning. It brings you to the bike route that passes beneath the Rijksmuseum in Amsterdam, where you can take in Gothic architecture and modern art and street performers playing Bach on your way to school. Take a look at all the different types of people – especially families – on all the different bikes passing through. And imagine – imagine! – if there were anywhere in America where you could have this kind of experience during your morning commute. The Netherlands hasn’t always been a beautiful place to get around by bike. In the 1970s, they were every bit as auto-centric as we are now. They decided that it wasn’t in their national interests to continue down that path and made a change. So today I’m feeling all frustrated and ragey and like it is all futile, all of it, whatever it is. And so what I’m looking for from you is just this – your wisdom. What do YOU do when you feel like the mountain that stands before you is just too big?